There’s a new Star Wars game out on mobile today, and it doesn’t involve collecting characters, buying things in order to unlock characters or forming a party of collectible characters. At this point a match-three game like Star Wars: Puzzle Droids is kind of refreshing. 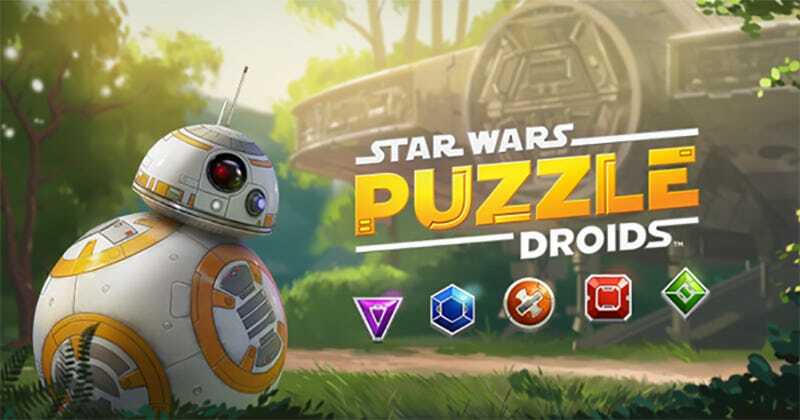 As much as I like to ride on the lazier examples of the genre, I’m always down for a well-crafted match-three game, and Puzzle Droids certainly looks like one of those. Free to download today on iOS and Android (hah) devices, the game sees players matching themed gems in order to unlock BB-8's memories of classic Star Wars scenes. At this point I am down for any mobile Star Wars game that doesn’t involve me trying to level up Chewbacca.